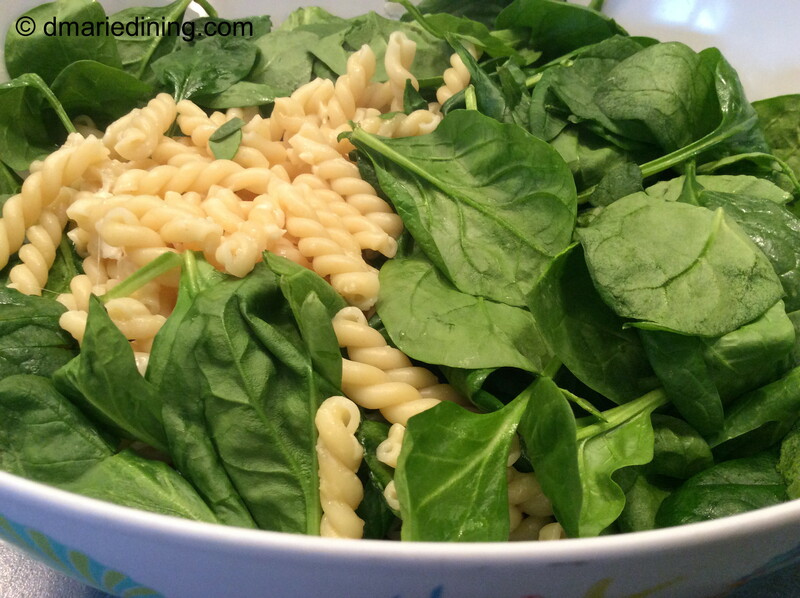 Since my hubby and kids love pasta so much I am always looking for new ways to fix it. I also like to use different types of pasta shells to give the pasta dishes a a new twist. The type of pasta you pick for a dish depends on what you want the pasta to do. If I am making a creamy pasta dish I usually pick pasta that will cuddle the sauce in the nooks and crannies of the pasta like shells or ziti. If I am fixing a dish that is lighter and the sauce just needs to coat the pasta, I will use angel hair, linguine or bow tie pasta. Gemelli pasta falls into both categories. Because of its shape gemelli pasta is a nice twist (yes, pun intended) for creamy or oil based sauces. 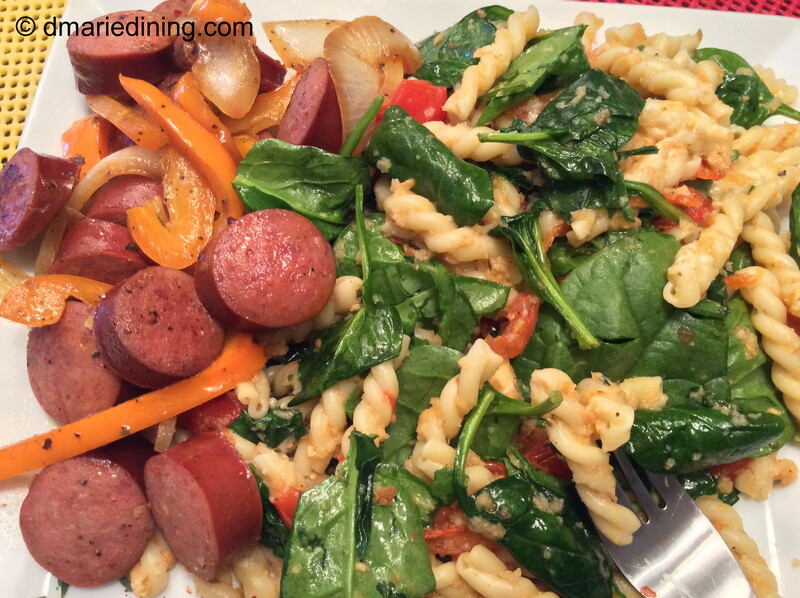 When I first started formulating this recipe in my mind I was not sure what kind of pasta I would use. I did not want to use penne pasta because I have seen so many recipes with penne including my own. I was cruising the pasta aisle when I spotted the gemelli pasta. It had been a long time since I prepared any dish with gemelli so I got excited when the light bulb went off in my head to use gemelli as my pasta. I will admit that I cook a lot of dishes with tomatoes. Another thing besides pasta that my family really loves. For me, tomatoes just naturally go with pasta. Tomatoes add a savory sweetness to pasta dishes. Baking or roasting tomatoes really helps to bring out the sweetness which is how I prepared the tomatoes for this recipe. 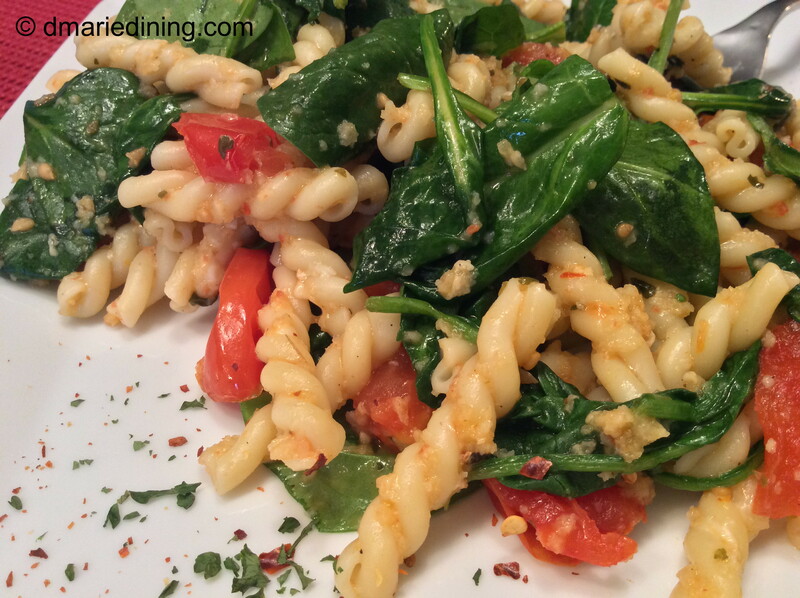 In the end, the combination of flavors from the tomatoes, cheese, spinach and gemelli made for a very nice pasta dish. On occasion, to elevate the flavors even more I brown andouille sausage and add it to the recipe to give the dish a kick of spiciness. Yummy! 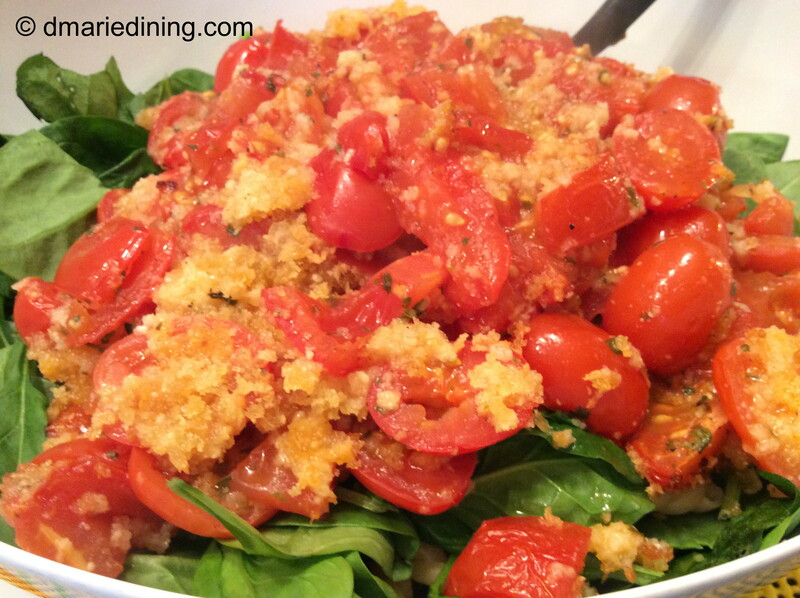 Mix panko bread crumbs, ½ cup of the grated parmesan cheese, parsley and oregano in a small bowl. Spray a casserole dish with olive oil cooking spray. Add tomatoes to the casserole dish. Sprinkle with salt, pepper, garlic powder, red pepper flakes, basil and olive oil. Stir to blend olive oil and seasonings then top with bread crumb mixture. Drizzle a little olive oil over the bread crumb mixture. Bake for 30 – 40 minutes until bread crumbs are browned. Prepare pasta according to package. Drain (do not rinse) and place in a large bowl. Drizzle pasta with a little olive oil. 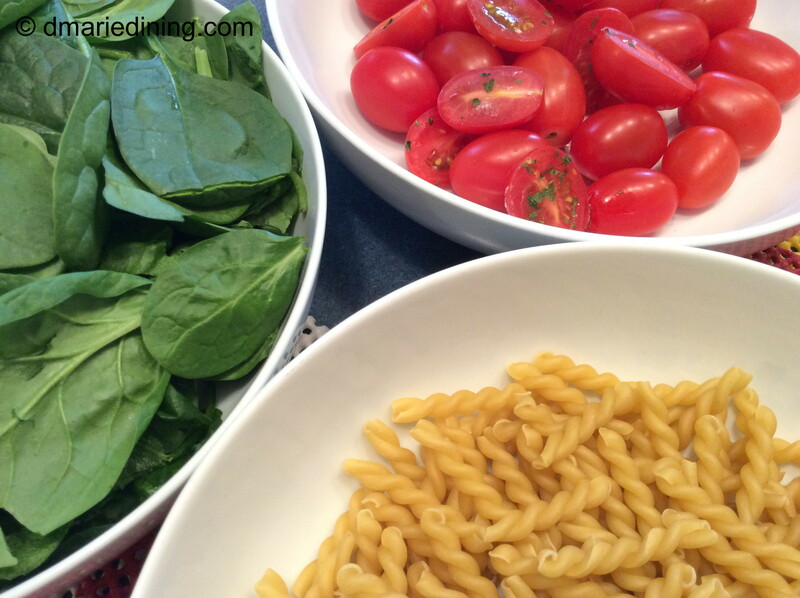 Add remaining grated parmesan cheese, fontina cheese, spinach and tomato mixture. Gently toss together until well blended.